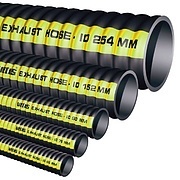 VETUS exhaust hoses have Lloyd’s approval and meet the requirements of SAE J2006. Exhaust hoses with an internal diameter of up to Ø 152 mm inclusive, have a bending radius of no more than 1.5 x the diameter. 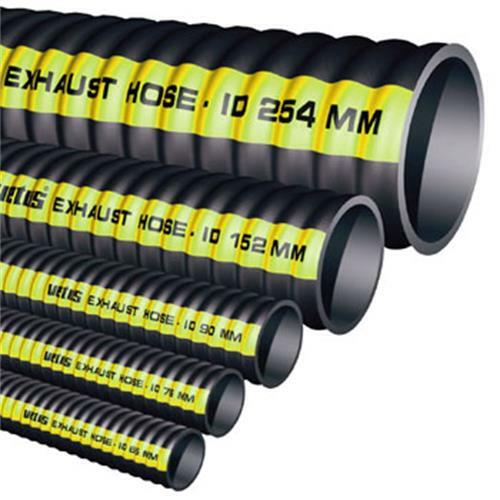 Exhaust hoses with an internal diameter of more than Ø 152 mm, have a bending radius of two times the diameter of the hose.. In order to reduce back pressure in the engine, the inside of all VETUS exhaust hoses is completely flush and smooth.